I pray that Mama Mary will intercede for me to her son Jesus Christ for the following needs. 1. Financial graces to pay off in full all my debts especially my credit cards debts this month of September 2012. 2. To pay all other debts and be able to pay the school fees of my sons. 3. Be able to pay all my monthly obligations like house rental, water, light and telephone bills. 4. For our daily food, needs and maintenance. 5. Be able to acquire capital investments for a business to augment our income. 6. Be able to own a house and lot for my family so that we will not have to rent anymore. 7. A successful work. That my employer will be able to appreciate my work and give me a raise in salary. 8. Success in studies for my sons. that they will be able to graduate and have a degree. 9. Good health, long life, prosperity, peace, love, joy, unity and harmony, understanding among members of my family. 10. Be able to attend in my son's wedding this coming Oct. 13, 2012 with a peace of mind and in good health. 11. That the business that my children are venturing now will grow and prosper and will last for a very very long time. 12. Peace in all families through out the world. 13. Eternal peace for all the dead, the souls in purgatory and the souls who no one prayed for them. 14. Healing for the sick especially those who dont have money to finance their medicines and health needs. 15. End to the culture of death. All these I pray in the name of Jesus Christ our Lord and thru the intercession of our Blessed Mother Mary. Amen. 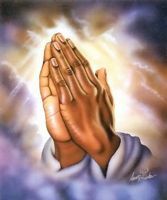 Father God in the name of Your son Jesus, I pray and claim that these prayer request be granted according to your word. Amen. Thank you Father, Lord Jesus, Holy Spirit and Mother Mary. I love you and I trust in You. Amen.